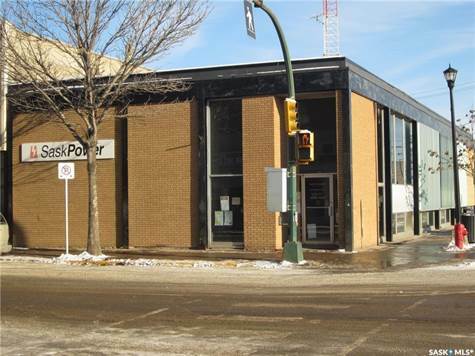 Great downtown retail/office or combined use building across from the Mall entrance and medical building. This est. 4320 sq/ft split level building contains several offices and a large reception area. The basement is developed under both sections, and contains a meeting room, kitchen and bathrooms with lockers. The building has 3 electrified parking spaces and an unofficial agreement in place for 2 more spaces in exchange for the placement of the broadcast tower.